Gracias to +Visit Tallahassee for hosting this mini staycation. Opinions and crazy comments are all Babushkas. Architecture and Archives,History of Florida and History of Craft Beer,Beanz for Lunch,with an Illuminating Dinner and then ending the noche by a Campfire Cantando the Blues. None other than BB's beloved Mission San Luis!! Si, been there many times y hope to go many times more; each time's a new adventure with new stories to see and learn. And when you're being escorted by the Spanish Deputy Gobernador Jacinto Roque Perez himself, you know there were going to be plenty of stories. Host, Hispano, y Politico... Ya tu sabes!!! Mission San Luis is an actual site where Indians and Spaniards lived together, raising families and keeping the English at bay. As you can see by the pictures, the re-enacters are quite knowledgeable and thanks to that and the natural beauty of the land, one truly feels transported to 1703. Re-energized from a visit con mi gente, off we went to a place Sweetie would love. Que ambiente mas lindo, the relaxed attitude here says much for their staff and their beer. 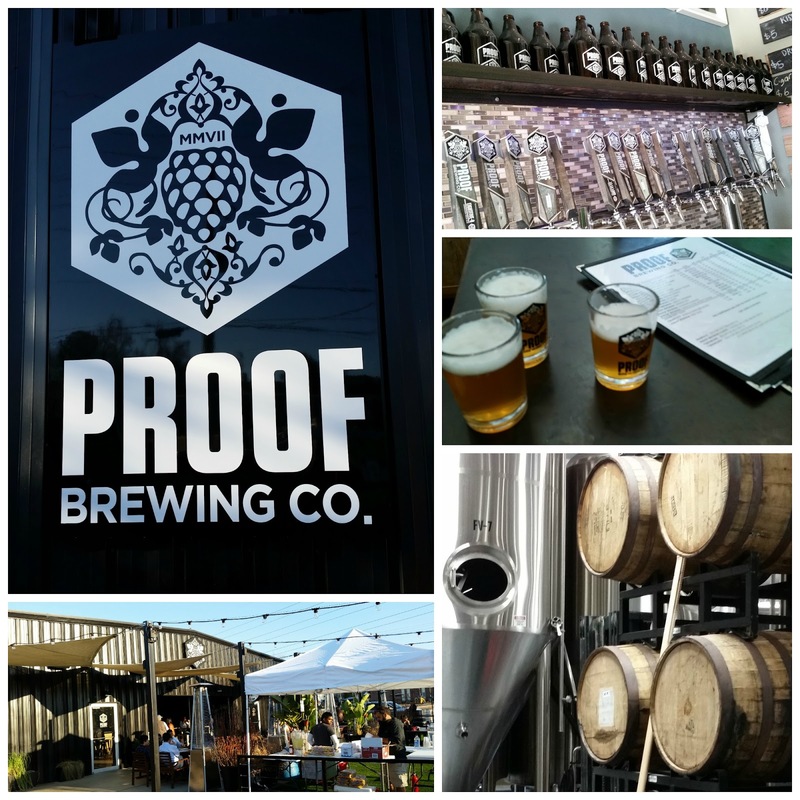 Proof Brewing Co. specializes in "craft beer". That's beer made with care,originality, a true craft. Listen as Regional Sales Director, Alan Truesdell gives us an explanation of the process. Ahora estaba picando el hambre, a little bit of the tummy tug was starting, so our next stop was another electic/electric taste bud treat. The Edison Restaurant. Y si, pun was intended. The Edison truly does have an electrifying history. "In 1921, the City of Tallahassee built The City Electric Building to serve the growing population and its demand for electricity. The plant converted coal into gas, providing lighting and heat for the city’s residents. Serving as the power plant for both electricity and gas, you could often find a line of people waiting outside the building to pay their monthly utility bills up until the mid-1950s." directly from The Edison's site, they explain and show pics of the original and how they converted it while still maintaining much of the original structure. If you ask BB now what we ate, no hay manera she could tell you. Pero Chef John Minas "se lo comio" as we say in Cubaneo, and "Lo comimos"- TODO. We ate it ALL. In reality, we were so stuffed, we wanted to go to the back of The Edison to digest the comida and the great outdoor amenities y view. If you can't see the waterfall turning colors up above, go to the original Instagram post to enjoy it. Belleza. Pero, it was time to go to the last stop of the night. Babushka had no clue- ni idea this existed in Tallahassee. Not only does it exist, but it's part of a historical legacy, the Mississippi Blues Trail. Part of the charm of the Bradfordville Blues Club is its location. You have to really want to be there to get there. Honestamente, BB thought the guide had too long of a night and had lost her way or had forgotten how to get there, that's how out of the way and backwoods this is. Pero the "too long of a night"? Energizing and feeling like a fun family reunion, the excited anticipation of our host Laura was contagious. Listen to her background info and then live the night via video; Babushka promises you too will want to bailar under the stars. Tampa Bay Times reporter Ben Montgomery wrote an excelente post about the BBC, capturing its corazon and a bit of its historia. The article- Bradfordville Blues Club in woods near Tallahassee a soulful secret . Pero si quieres a full out verbal history, listen on as owner Gary Anton tells it his way. And that was Day 2, Part 2. Ya vieron why it was dividido into 2 partes? Oh My. Lots verdad?? Pero BB not wanting to visit any of those??? Can't wait to show you what Dia 3 had in store for us.